Home Opinion poll Yabatech Trio, Mini Automobile starter Project. Yabatech Trio, Mini Automobile starter Project. "Star Delta" automobile starter built by Yaba College of Technology students. Okey Pius Chinonso, Adebimpe Babajide and Eze Abraham took every effort and resource to put this project together.The young lads are final year students of The Electrical Engineering Department. 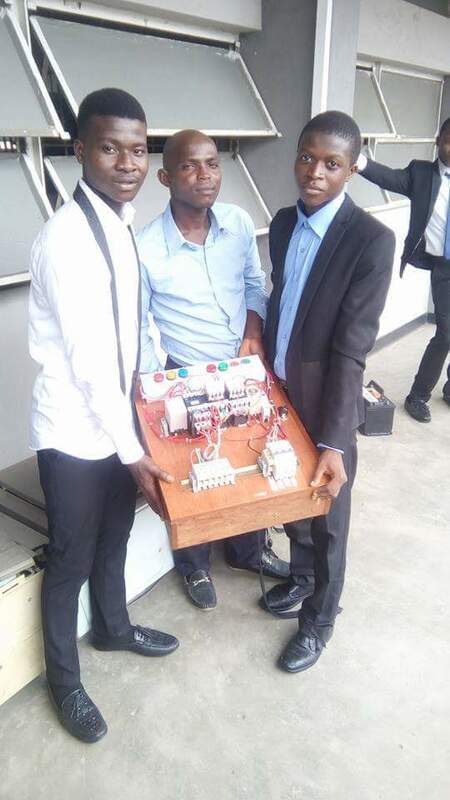 In an interview with Okey Pius, he explained basically that the essence of the project is to produce a less complacent device to start high rated induction motors rating from 5horse power and above. He further commwnted that the vehicles that are started directly without this starter tend to consume more than the expected current and power ranging to 6 or 8 times the standard current. In the light of these, it can damage the torque of the vehicle and also cause the voltage drop in d supply. The star delta starter reduces the starting current by 1/3 conserving current and power for other compartments of the vehicle.